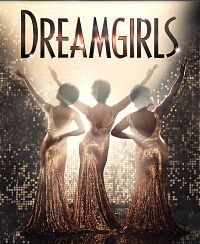 Further casting has just been revealed for the West End premiere of the musical Dreamgirls. They will be joined by Jocasta Almgill, Callum Aylott, Hugo Batista, Samara Casteallo, Chloe Chambers, Carly Mercedes Dyer, Joelle Dyson, Kimmy Edwards, Candace Furbert, Nathan Graham, Ashley Luke Lloyd, Gabriel Mokake, Abiola Ogunbiyi, Sean Parkins, Kirk Patterson, Ryan Reid, Rohan Richards, Noel Samuels, Durone Stokes and Tosh Wanogho-Maud. Riley stars as Effie Melody White. 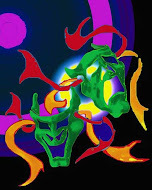 But back-up singers Deena Jones and Lorrell Robinson will be played by LaFontaine and Jack, respectively. LaFontaine lives in Los Angeles, as does Riley. Producer Sonia Friedman and director Casey Nicholaw started holding auditions a year ago, in London, and then began looking further afield for an Effie because there are few performers able to handle the powerful numbers she has to sing.Ruth Brown and Karen Mav are Effie alternates who will take the role on Wednesday nights.